Following the recent merger between Tribeca Tables Europe Limited and the Tain poker network to increase the group's market share in European online poker, it has now been announced that Erik Ahlberg is to be the new President of Tribeca Tables Europe Limited with immediate effect. 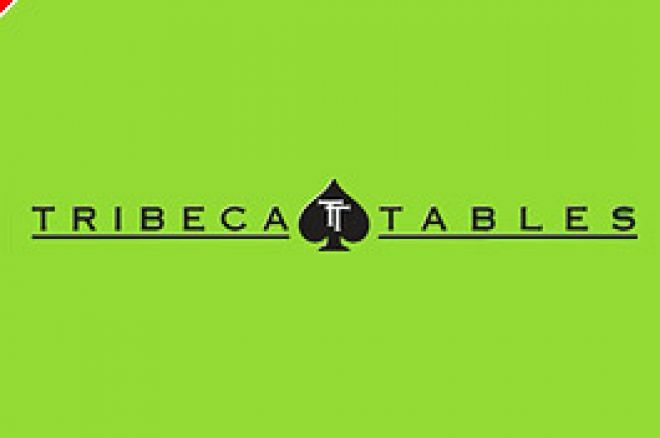 Tribeca is registered in Alderney, Channel Islands, and its poker software platform is the online poker table of choice for such leading rooms as Paddy Power Poker, VC Poker and Bowmans Poker. With the accelerating consolidation that we are now witnessing in poker, following the US legal developments, Tribeca does not plan to stand still. "We are very pleased to welcome Erik into the Tribeca family and the company will be able to utilize his poker industry and management expertise to take Tribeca to the next corporate level". "Tribeca is the market leader in online poker aggregation. I am extremely excited to be selected by the board. There is now a very narrow spread between the top three European poker rooms, and we are the only aggregator. I plan to continue to use consolidation as the core strategy to further our dominance. During my time at Tain, I focused on the European markets; I plan to bring this experience and market knowledge to Tribeca. I also plan to make further announcements over the next few weeks". "We shall be also launching poker rooms for a number of other professional football and rugby clubs over the next few months". Ed note: You can enjoy great Tribeca poker and grab a special $500 bonus when you download Paddy Power Poker.